Welcome back to school, to all of our returning students, teachers, and district/school administrators! 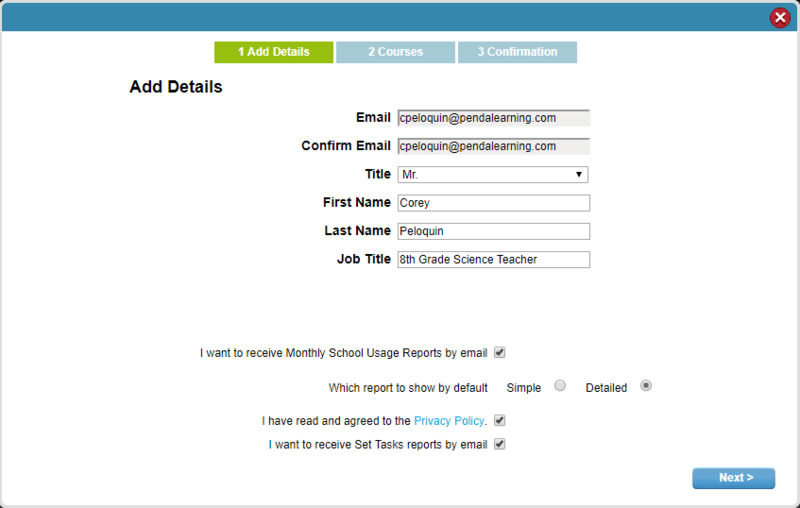 Teachers and district/school administrators, when you sign into Penda to start 2018 - 2019, please be sure to update/edit your Penda Learning account profile. 4. 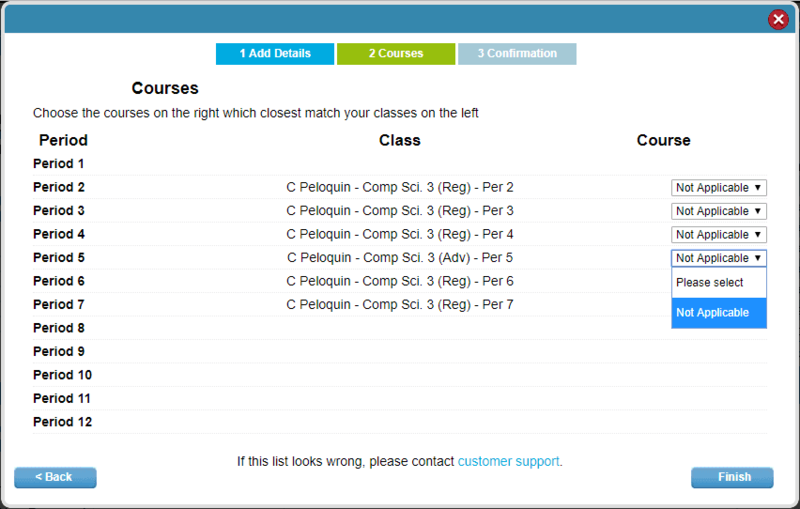 On screen # 2, select a course or n/a for every class listed using the drop-down boxes. 5. Click "Finish" once you have selected a course using the drop-down menus for each class period listed. If no courses appear in the drop-down menu, you must choose "Not Applicable." 6. Want to update your password? Once you have returned to the Profile screen, find the password section. Enter your current password into the 'Current Password' field and a new password that you wish into the 'New Password' field. Confirm your new password by typing into the 'confirm password' field then click "Change Password."